babus of india: A Tale of Two IAS Batchmates: LK Atheeq of PMO gets extension, LV Nilesh still missing, "deemed to have resigned"
A Tale of Two IAS Batchmates: LK Atheeq of PMO gets extension, LV Nilesh still missing, "deemed to have resigned"
LV Nilesh, a 1991 batch Maharashtra cadre IAS, was on unauthorized leave from June 2001. A post graduate in computer science before getting into IAS, Nilesh was on study leave between 1991 and 2001. But he had never joined the service, according to records available with DoPT. Finally on July 12, 2012, the government notified that Nilesh is “deemed to have resigned from IAS” and sent the notification to the manager, Government of India press for publication. The July 12 order said: “The President is pleased to direct that Shri L.V. Nilesh, a member of the Indian Administrative Service, borne on the Cadre of Maharashtra (MH: 91) is deemed to have resigned from the Indian Administrative Service with immediate effect in terms of rule 7(2) of the All India Services (Leave) Rules, 1955”. On the other hand, Atheeq, an agriculture economist before joining the IAS cadre, will become a critical part of the UPA-II government till the general elections. 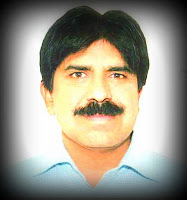 Atheeq holds a degree in public administration from an US university. a) Anurag Srivastava, a 1992 batch UP cadre IAS, has been appointed as joint secretary in the ministry of Information and Broadcasting in place of Khurshid Ahmed Ganai, a 1982 batch Jammu and Kashmir cadre IAS who was recently appointed as joint secretary in the ministry of home affairs. So called "missing" IAS LV Nilesh is in USA. He works for Microsoft. He is considered to a computer genius.